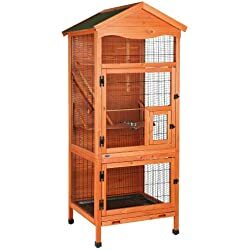 Larger birds naturally require a large bird cage, so make sure your bird has adequate room to live. 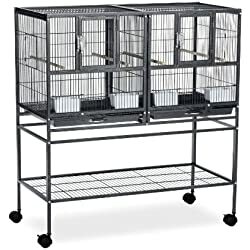 A large bird cage should have bars properly spaced. 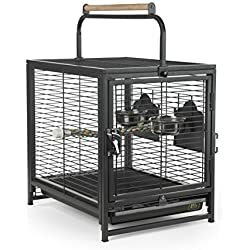 If the spacing of the cage bars is not adequate it could result in injury to your bird, close enough that your bird can not squeeze through and the bars should be thick enough that he can not destroy them. Some birds like to climb. 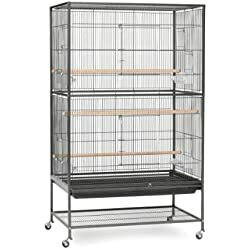 If this is the case with your birds, make sure the large bird cages you choose are tall enough to allow them to do so. The cage should also have a nice big door. 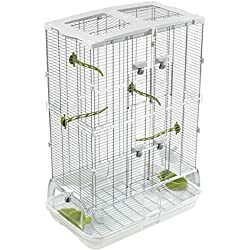 This allows you easier access to your birds and helps you to keep the cage clean with ease, too. Make sure you provide some soft wood perches for your birds to sit on. These are easier on your bird’s feet and provides comfort for them, as well. Birds enjoy chewing and have surprisingly strong beaks, so an all metal cage is best. They can easily chew plastic and wooden parts. 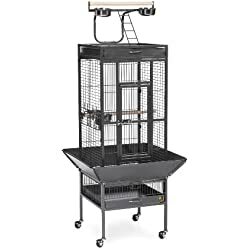 You’ll want to make sure your birds always have access to clean, fresh water, too, so make sure the large bird cage you provide has more than one water source in various areas of the cage. There should also be food bowls that you can easily fill with food when needed, too. Never allow your bird’s food to be placed on the bottom tray. You don’t want them eating their waste. This could make them very sick! Wipe the interior of the large bird cage with a mild soap on a regular basis, as well as cleaning out the bottom tray often. Make sure you also keep all food and water dishes clean. A clean cage means a healthier environment for your bird. Lead and zinc can be toxic to birds, so make sure your cage is free of these items! 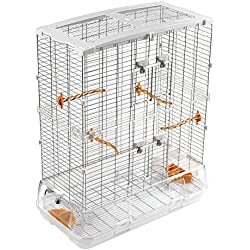 Also make sure your cage is square or rectangular so your bird has corners it can retreat to when scared. 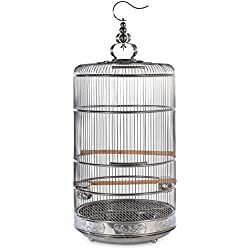 Round cages are not good choices for birds even though they are attractive as décor. 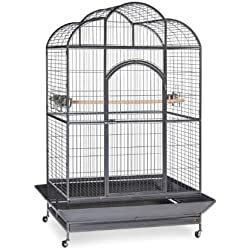 Please make sure your bird has adequate space to roam in its cage. 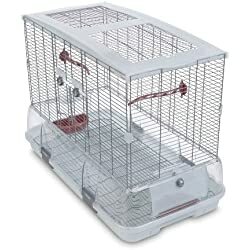 Manufacturers might recommend certain sizes, but it’s best to purchase the largest size cage you can afford. Give your bird room to move, and you’ll have a happy, healthier bird! Small Dog T Shirts - Whether precious princess or Bruiser, Dress Up is Fun!